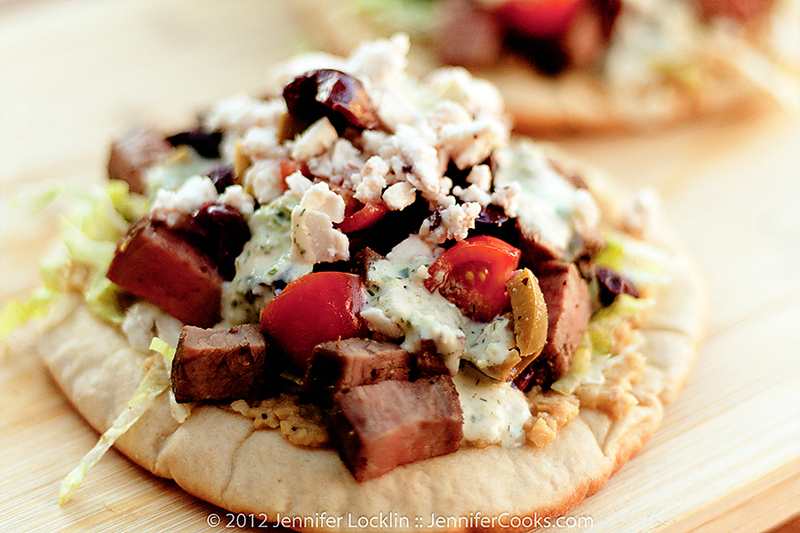 OK. Now you’ve made the Grilled Steak Gyros, Hummus, and Tzatziki Sauce and you might have leftovers, so why not throw together Greek Tostados? 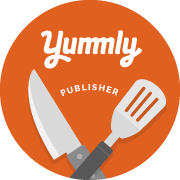 That’s what I did for this recipe and it was a huge hit with our family! On a large baking sheet, arrange pita breads in a single layer and drizzle lightly with olive oil. Broil until lightly browned. Turn and broil until lightly browned on the other side. To assemble: Spread a generous amount of hummus onto each toasted pita. Top with lettuce, meat, tomatoes, onions, feta cheese, and olives. Drizzle each tostado with Tzatziki sauce. Enjoy!